Eventually, every celebrity and politician (though hopefully not every brand) will have taken the Ice Bucket Challenge. So, what next? The moment the ALS campaign went crazy, we braced for the inevitable slew of copycats. The only question is, Which one will completely hijack your news feed next? Below, Adweek takes a look at some of the contenders. More than 3,000 people have been infected with Ebola, and more than 1,500 have died. Though the disease has a horrifically high mortality rate of 90 percent if untreated, Ebola can be spread only through contact with the bodily fluids of an infected person. So, simple measures like hand washing can prevent outbreaks. Edith Brou, an Ivory Coast blogger, was inspired by the ALS trend to create the Lather Against Ebola Challenge. Ebola hasn't yet spread to the coast, and Ivorians are determined to keep it that way with the challenge and some catchy tunes. There is no specific fund to donate to—awareness of prevention is the key of this campaign. Pros: Easy to remember, easy to complete. Cons: No direct benefit to those already suffering. Rating: Three ice cubes out of five. A gentleman in a "Party with Sluts" T-shirt was challenged ALS style and upped the ante by getting bear maced and waterboarded to raise awareness of suicide by veterans. An average of 22 veterans commit suicide each day, and a little waterboarding and bear mace are apparently not nearly as bad as what many of our veterans experience. There's no specific charity affiliated with this challenge, and it's unlikely it will catch on—but hey, now you're aware of it. Pros: With a lot of blog coverage, more people are aware of how many veterans are lost to suicide every day. Rating: Two ice cubes out of five. It started as a Twitter joke by @AndreaGrimes, but now the Taco Beer Challenge is legit making money and headlines for pro-choice organizations. What do tacos and beer have to do with abortion rights? Well, what does ice have to do with ALS? Adventurous pro-choice advocates are taking it up a notch by eating a taco and drinking a beer while donating. Pros: It's really easy to eat a taco and/or drink a beer. Cons: Pro-lifers attacking you directly on Twitter. Rating: One ice cube out of five. Did you enjoy Guardians of the Galaxy, in which Vin Diesel plays a glorified Ent (sentient tree creature) named Groot? 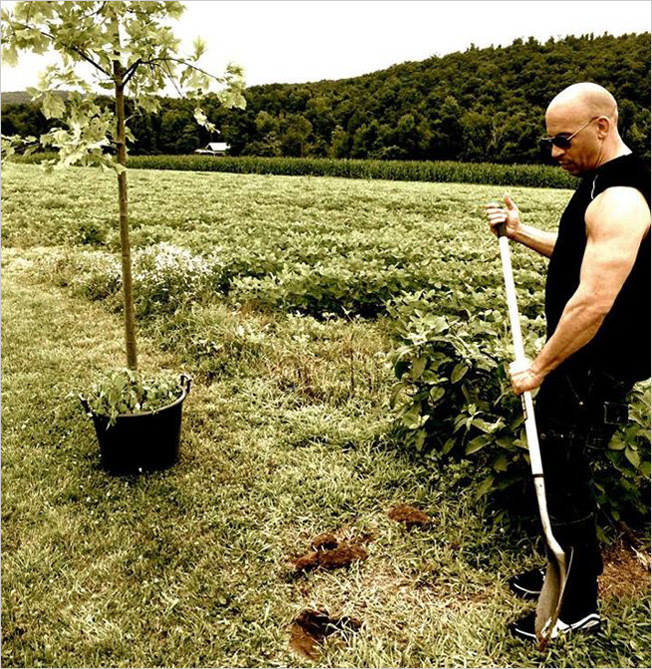 Then you will probably enjoy joining Diesel's followers in helping to plant a tree for Groot. The Plant a Tree for Groot Challenge is simple, and the benefit is obvious. The only thing better than funding research is being the change you want to see in the world. Besides, we should probably be more concerned about guarding the future of this planet than the future of the galaxy writ large. Pros: Celebrity backing, connection with popular movie, large fan base. Cons: No specific charity. Get on it, Arbor Day Foundation! Rating: Four ice cubes out of five. Unable to find ice cubes in a war zone? Clean water too precious a commodity to pour over your head? Ayman al Aloul, a journalist, wanted to raise awareness of the conflict in Gaza but had to improvise with a bucket of rubble from damaged buildings. He doesn't challenge specific people, but does challenge us all to be empathetic to the suffering in Palestine and raise awareness of the situation with #remainsbucketchallenge. And he does it while making Westerners feel really stupid about wasting clean water and ice, which we can easily get in abundance. Pros: Draws attention to the first-world nature of the ALS challenge.